Seven-year-old Chrysanna Harter. 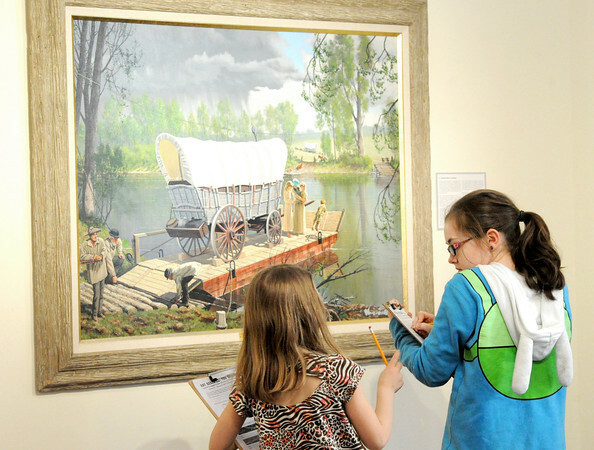 left and Jae Gubera, 11, take notes while examining a Roy Kerswill painting, "A Kansas River Crosiing," on Tuesday afternoon at the George A. Spiva Center for the Arts. The two are part of an afterschool program for children at Spiva called Creation Station.